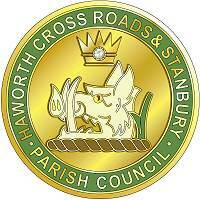 Please Note: These Parish Council minutes in electronic format may have errors and omissions. Only the signed copy of the minutes will be accepted as the true minutes of the meeting. Proposed by Cllr Barry Thorne, Seconded by Cllr Ian Shackleton that the minutes of the Planning Committee Meeting held 24th September 2007 were a true record. All agreed. The minutes, were signed by Cllr Anne Knott as a true record of the meeting. It will be detrimental to visual amenity of the area. It would appear that the plans as submitted are not accurate, as there is a building attached to the Kings Arms, in the entrance to The Fold which is not shown. The entrance is therefore narrower than shown. of the building. It is believed to be unadopted highway. Therefore the developer is not providing any off road parking. Concern was expressed re proposed parking, it appears that the existing property will loose one off road space to allow two for the new build. It was questioned whether the height proportions were in keeping with existing houses.